1. The International Follow-up and Support Group for the Transition in Burkina Faso (GISAT-BF) held its 2nd meeting in Ouagadougou, on 30 March 2015. The meeting took place under the auspices of the African Union (AU), the Economic Community of West African States (ECOWAS) and the United Nations (UN), as co-Chairs of the GISAT-BF, and was attended by the countries and institutions members of the Group. The list of countries and organizations in attendance is indicated below . 2. The opening ceremony was marked by the statement made by the President of the Transition, President of Faso and President of the Council of Ministers, H.E. Michel Kafando, as well as by the remarks made by the AU Commissioner for Peace and Security, Smaïl Chergui, the President of the ECOWAS Commission, Kadre Désiré Ouedraogo, and the representative of the Special Representative of the UN Secretary-General for West Africa, Mohammed Ibn Chambas, who could not attend, and the Minister of Foreign Affairs of the Republic of Zimbabwe, Simbarashe S. Mumbengegwi, on behalf of the current Chairman of the AU. 3. Participants were briefed by the Prime Minister of the Transition, Yacouba Isaac Zida, and the relevant members of the Government on the evolution of the implementation process of the Transition, as well as on the socio-economic situation and other related aspects. They interacted with the National Transitional Council (CNT), the political parties and the civil society. Participants had an in-depth exchange of views on the various items on the agenda of the meeting. 4. Participants noted with satisfaction the progress that continues to be made in the implementation of the transitional process, in conformity with the Charter of the Transition adopted on 16 November 2014. In this regard, they reiterated their profound appreciation to the Government of Burkina Faso and to all the other Burkinabe stakeholders for the political maturity and sense of responsibility they continue to display. They encouraged the Burkinabe stakeholders to persevere in their efforts, in a spirit of inclusiveness and reconciliation among all the segments of their nation, in order to successfully conclude the Transition. In this context, they underlined the importance of continued and close consultation among the political actors and the civil society organizations on the various challenges facing the country. 5. Participants took note of the presentation of the detailed timetable for the presidential, legislative and local elections, by the Independent National Electoral Commission, following consultations with the Government, the political parties and the other stakeholders concerned, as well as of the launching, on 3 March 2015, of the process to revise the electoral roll. They welcomed the establishment of the Steering Committee chaired by the Prime Minister and the Technical Follow-up Committee in charge of operational activities. 6. Participants urged the different institutions involved in the preparation and organization of the elections to continue to fully play their role, bearing in mind the need for a coordinated, consensual and inclusive approach. In this regard, they stressed the imperative for the scrupulous respect of the provisions of the Constitution and the Charter of the Transition, including those relating to ineligibility. They urged the authorities of the Transition to pursue the efforts initiated to enable the Burkinabe living abroad to fully participate in the democratic life of their country, notably by initiating the steps required to enable them participate in the 2020 elections. 7. Participants noted with satisfaction the significant financial resources mobilized by the Government of Burkina Faso for the organization of the elections. These resources amount to 25 billion CFA Francs, out of a total budget of 54 billion CFA Francs. Participants underscored that this contribution is all the more commendable as Burkina Faso is facing a difficult economic and financial situation. 8. Participants welcomed the pledges made by some countries and organizations, and underscored the need for the international community to extend the financial, technical and logistical support necessary for the successful implementation of the electoral process and the organization of free, fair and transparent elections, within the agreed timeline. While looking forward to further international support, Participants underlined the particular responsibility of the AU Member States and the imperative need for them to make financial contributions towards the holding of the elections, in line with the principle of African solidarity. They requested the Burkinabe Government and the concerned institutions, with the support of the technical and financial partners, to provide detailed information on the financial gap in the budget for the elections, to be bridged. 9. Participants welcomed the completion of the establishment of the institutions provided for the Transition. In this regard, they commended the appointments by the authorities of the Transition of the Chair, sub-committee Chairs and members of the National Reconciliation and Constitutional, Political and Institutional Reforms Commission, provided for under article 18 of the Charter of the Transition. 10. Participants looked forward to the proposals for reforms that the above-mentioned Commission would propose to the relevant Burkinabe authorities, as part of the deepening of democracy and enhancement of the rule of law, in conformity with the strong aspirations of the Burkinabe people. They encouraged the authorities of the Transition, on the basis of the recommendations that will be made, to lay the basis of the reforms required for the enhancement of democracy and the rule of law, it being understood that these reforms should be pursued and completed by the authorities that would emanate from the forthcoming elections. 11. Participants noted with satisfaction the efforts initiated by the Government of the Transition, as part of the Socio-Economic Emergency Programme, in an unfavorable economic context. They reiterated the imperative of a long term economic and financial support to address the socio-economic difficulties facing Burkina Faso. They recalled the crucial importance of the improvement of the living conditions of the population, in particular youth and women, as part of the efforts to promote sustainable peace, security and stability in Burkina Faso and in the Sahel region, in general. 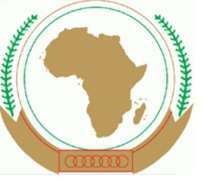 They renewed their appeal to the AU Member States and the larger international community to extend the necessary support to this end. 12. Participants expressed their profound gratitude to the leaders of the region, in particular Presidents John Dramani Mahama of Ghana, current Chair of ECOWAS, and Macky Sall of Senegal, Chairperson of the ECOWAS Contact Group on Burkina Faso, for their support to, and accompaniment of, the efforts aimed at successfully concluding the current Transition, with the holding of free, fair and transparent elections, within the timeframe agreed upon by the Burkinabe stakeholders. They thanked the AU, ECOWAS and the UN for their joint efforts support of the Transition in Burkina Faso. 13. Participants requested that the implementation of the Conclusions of the inaugural meeting of the Group relating to the follow-up mechanisms, particularly the establishment of the local chapter of the GISAT-BF, be expedited. 14. Participants expressed their gratitude do the Government of the Transition of Burkina Faso for its hospitality and cooperation. They thanked the co-Chairs for the successful organization of the meeting, and agreed to convene the 3rd meeting of the Group in Ouagadougou, in May 2015, at a date to be agreed upon through consultations.